Here it is: the Big Blog Post about my upcoming novel, Alen’s War. And this one will be fun. Alen, the son of the king of Agran, is given a simple secret task: find an insurrectionist named Galer and bring him back quietly to the capital for trial, but in a series of tragic mistakes Alen sets off a full-blown civil war. Now Agran is out to have Alen’s head for a wereguild. To save himself and his homeland, Alen and a small group of fighters must capture Galer once and for all. Yet their own dark secrets haunt them at every turn and foil their plans. What else can I explain here? I find it hard to classify this book as anything beyond the generic “fantasy.” It has a young protagonist on a quest, and much of it takes place on beautiful pirate ships and frozen seashores. However, the whole plot revolves around a war that began as a rebellion. So what do I call it? I call it my fantastical YA war story that feels like historical fiction about vikings. And now for the real cast of characters. Some of this might be a repeat of my introductory post, but there’s also some new stuff, so stick around. Oh, and I’m doing the dream cast this time, too. Dream cast: …Alas, I could not find the perfect actor for my young protagonist! What can I say? Alen may be a son of the king of Agran, but he’s by no means a normal prince. He is adorable, but not too soft; uncertain, but not a chicken; fierce, but not too impulsive. In short, he is every “good kid” when he or she was sixteen years old. Strangely enough, loyalty is simultaneously his strongest asset and his worst fault. It is the quality that propels him forward to accomplish his mission and yet holds him back from truly achieving the truth. Alen feels that letting go of the past is disloyalty, so he has to keep everything inside of him, pushed down where he cannot forget it. “Do you believe we will win?” Alen asked. Okay, I admit it: Brandis the raider is my favorite character I have ever written, and that’s coming from an author who has written over thirty unique characters in one fantasy world. 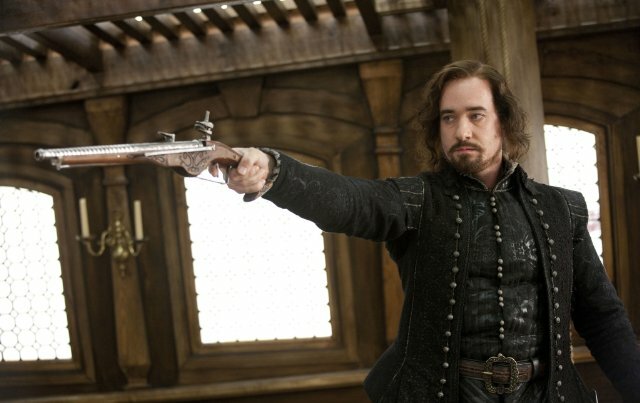 He is (dare I say it) Long John Silver, Coriolanus, and Faramir all rolled into one- although I wasn’t thinking of all those characters while I wrote him. To be honest, I wrote Brandis specifically with Armitage in mind. Brandis is the enigma that refuses to be solved: the friend who betrays and then apologizes; the killer who rescues people from fires; the raider who speaks like an English professor. And all that is resolved in his dark secret. Ah, my resident Mastermind. In many ways, Turomar the strategist is me gone wrong. That is, if I had been abandoned and rejected for all of my life, I would have the skewed worldview and priorities that Turomar does- all of which may explain why he’s a close second for my favorite character. Turomar may have a few acquaintances, but he refuses to let anybody into his life for fear that he will be written off as worthless or rejected altogether. My sister teases me about the central antagonist, calling him “Enjolras,” and I can admit that there is some resemblance. Galer does serve as the hopeful leader of a revolution who gets himself into serious trouble. 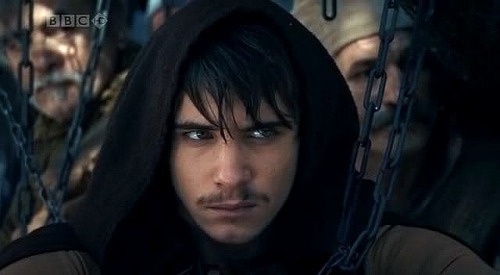 Yet he is also incredibly intelligent and crafty, having many more resources at his disposal than Marius’ college friends ever dreamed of, and his influence only expands as the war rages on. In short, Galer has a chance of winning, and he desperately wants to do just that. Good ol’ Reyis. He is Alen’s father and also the king of the second-largest kingdom in the world, so despite playing a relatively small role in the story, he was a great deal of fun to write. He’s not exactly the most touchy-feely parent in the world, but he always does what he knows is best, and if he doesn’t know, he will find out. I can appreciate that kind of attitude. Alen felt the dagger at his side. Maybe it had no real magic, but Arila surely did, and it was enough for him to keep fighting. You knew I couldn’t write a book without any estrogen, didn’t you? Not, that is, without getting complaints from my romantically-minded mom. Again, as a bookkeeper at the capital, Arila has a relatively small role in the story. However, while she does play something of a love interest (at least at the beginning), Arila mainly serves as a sort of impact character, the one on whom the message depends. And she is really quite a sweet girl, which makes for a sweet subplot. That’s all, folks! I’ll be doing some interviews at other blogs as the big day approaches, so keep an eye out for those. You can also preorder the Kindle version of Alen’s War or hold out for the paperback in July. Let’s start at the very beginning (a very good place to start). I recently watched The Good Dinosaur with the rest of my family, and though I went in with low expectations, yet I still came out disappointed. Disney has been on my bad list for some time (ever since Good Luck Charlie and Modern Family, actually), but never before had I been so disappointed with a Pixar film in my life. Now let’s leave aside all the Weltanshauung problems like existentialism and evolution and forget the fact that the plot feels suspiciously like that of The Lion King. I’ll even forgive the composers for ripping off the Braveheart soundtrack. Other Christian reviewers like Plugged In and Christianity Today can discuss such elements. What I want to emphasize today is that kids deserve good movies, too, because someday those kids will grow up. Pixar seemed to forget about that. Let us begin with Arlo- one of the most un-empathetic protagonists for children that I have ever encountered. I can understand having a little bit of fear, but that fear should never define a character at the expense of other character qualities and quirks. For example, according to Martin Freeman, Bilbo Baggins “is scared all the time,” yet Bilbo is never defined exclusively by that fear. He possesses other characteristics that contrast with his fear and give him a sense of realism. Have you ever met a person who is so afraid that they have no other dimensions to their personality? Neither have I- so why should a screen character be different? Again, the characterization seemed off-beat with Arlo’s Poppa. One scene, he is the all-wise and understanding mentor giving Arlo advice on how to be brave, and the next, he is angrily driving his son through a slippery mountain range in a lightning storm. Yes, I realize that breaking and combining stereotypes in fiction is a good idea, but the writers didn’t offer enough development for Poppa to justify such a split-second change. Trying to reconcile those two extremes is like trying to say that there is no fundamental difference between Gollum and Smeagol. Then the scenes themselves didn’t make any sense. In one particular scene, Arlo is standing in the garden, yelling at his mean older brother- but his intentions seem somewhat mixed. “I’ll make my mark! You’ll see!” Two seconds later: “I don’t care about my old mark anyway!” *stalks off like an angry baby elephant* So what is it- does he want to make a mark, or not? The logical problems only piled up. I still can’t understand why the older brother was such a bully; what kind of person fakes his death in a chicken coop just because his little brother caused him a minor inconvenience? Later, why were the pterodactyls so flamboyantly cruel? The answer to both: because it makes the story more emotional. Ah, the mark of a true professional. I kept my hopes up that the movie would improve as the story progressed. This was Pixar, after all; maybe the story had something better in store for the end. Beginnings are bumpy, especially in an alternate-history story; maybe Pixar could get the thing off the ground in the second half of the movie. What do you think? If you were one of the few people who went to see The Good Dinosaur, I want to hear your take on the beginnings. This time, I have been thinking mostly about Rey from The Force Awakens. She is by no means a typical character (ie archetype) for the big screen these days, but that does not necessarily mean she is a good character. Originality does not guarantee excellence; just take a look at the uniqueness of the junk on television every day. Then again, originality is not necessarily bad; if Rey is so different from the majority of characters on screen, chances are that she and I have a lot in common. But… to determine if anyone fits a definition, we need to know what that definition is. So here is my claim: a strong character needs neither a sword nor a soapbox to be a well-rounded, dynamic role model in a story. Get it? Got it? Good. Let us begin with “well-rounded.” Well… yes, Rey is well-rounded. In fact, of all the characters in the movie, Rey is the most developed. For all you Myers-Briggs enthusiasts, my guess is that she’s an INFJ. She is hard-working (competent at her job of scavenging) and she is loyal and organized (keeping a record on her wall). At the same time, she has a sentimental side; don’t tell me you didn’t see the little flower on her kitchen table and the old doll on her shelf. 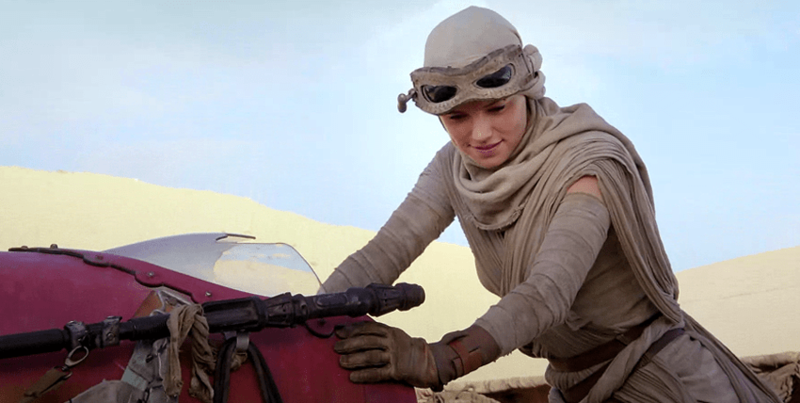 Further into the movie, Rey proves that she can be tough without losing her gentleness. She can scare off a freaky-little-alien-thing riding a freaky-big-alien-thing with her staff, but she does it to rescue poor BB8 from being scrapped. She attacks Finn, but only because BB8 accuses Finn of killing his friend Poe. She isn’t afraid to cry when her friends are killed or injured. And I dare anyone not to chuckle when her face lights up and she says proudly, “I bypassed the compressor!” Yes, I’d say she has depth to her character. Secondly, Rey is a dynamic character. She isn’t turned into another flat soapbox like Tauriel the redheaded activist (ugh), but she grows in her feminine confidence without turning feminist. More tangibly, at the beginning of the story, Rey refuses to take Finn’s hand, claiming that she can run by herself. Well, duh. It’s the old boys-opening-doors-for-girls problem. Maybe we are feeling a little bit insecure about ourselves, Rey? Yet I had judged her too soon. By the end of the movie, Rey is the one grabbing Finn’s hand and borrowing his jacket in a snowstorm. Don’t believe me? Look at this. And all this just makes sense; if a guy was in Rey’s place, he would be dragging his friends away from danger and accepting a coat when a blizzard starts, too. It’s not chauvinism; it’s common sense. And all this is to mirror her development as a powerful Jedi who fights evil in the galaxy (which we had better see in the next movie!). Rey learns to be confident with who she is and where she is going, and thus she becomes a stronger character. In many other stories- and even at the beginning of Rey’s story- the girl might have replied with something along the lines of, “Yes, I know. I’m the one who did it, because I am a smart empowered female. I know how things work.” (Yes, I just took a shot at Tomorrowland. I’m not sorry.) That is what makes the difference in Rey’s character: she has a certain maturity, a unique sort of strength, that intensifies over the course of the story. I no longer have to squirm when my sister dresses up as Rey or chooses her for a Disney Infinity character; I know that Rey won’t be influencing her or any other girls to become self-absorbed featherheads who worry about all the wrong things. At the end of the day, a strong female character (as well as any male one!) should be able to stand on her own feet. She shouldn’t have to stand on a soapbox to look taller, nor should she need a sword to make a point. Both puns were very much intended. If you want to write a strong female character, stop worrying about proverbial glass ceilings and start worrying about how you will write a strong character who will make all of your readers admire her and the rest of your work. Be like J.J. Abrams. That is, unless you would rather be George Lucas. So- is Rey a strong female character or not? Comment below and share your thoughts. AND I have one quick announcement: I’ll be sharing a few first-draft snippets from Alen’s War on Facebook this week. You can check that out here– and definitely do so because you won’t want to miss all these wonderful sneak peaks. If you have not read Part One of this series, do so by clicking here. This post will make very little sense until you do. If you have read aforementioned post… good work. I’ll shut up and let you read this one now. If the intended audience would want it bleeped out, don’t write it. I don’t know about the rest of you, but I wince every time I hear a profanity and squirm every time an… er, steamy scene comes on. That sort of content is expected in films made for adults, and I can accept that fact. But do those elements have a place in family adventure movies? Come, now. Of course, this problem isn’t specific to Marvel movies, but Marvel certainly does a fine job of squeezing non-family-friendly stuff into allegedly family-friendly films. 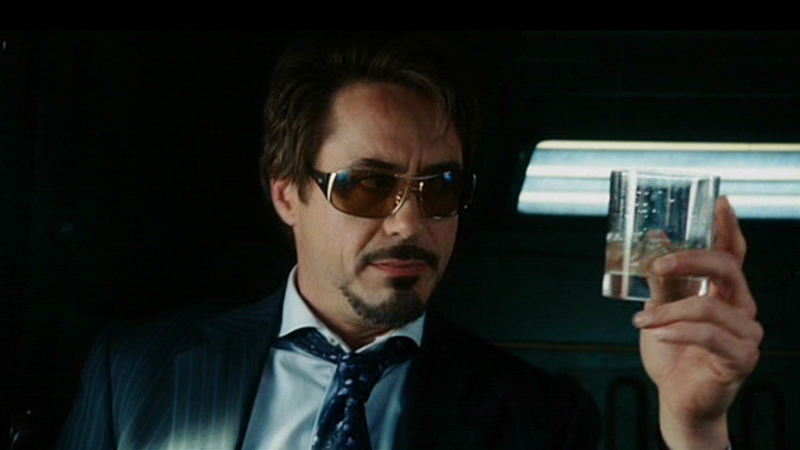 I can recall my dad muting at least one whole scene with Nick Fury in The Avengers thanks to swearing. I winced multiple times at the violence in even the mildest of the series, Thor. From what I’ve read, certain you-know-what scenes in Iron Man would have made it unacceptable even for adults sixty years ago. Deadpool was the culmination of this pattern, earning the first R-rating ever for a Marvel cinematic film. So much for family-friendly, Disney. The result is that a lot of kids don’t get to watch these films. I know that most of my siblings don’t, and I can point to many other families who hold to the same standards as us. Let me tell you, Marvel loses a good percentage of its intended audience every time it chooses to write in a swear word, and so will you. Know your audience, fellow writers, and respect their values. Don’t stress over the outline; go where the story takes you. Marvel is so dedicated to the Big Outline that it’s not even funny. By sticking to that outline, they have deprived fans of some really great movies. Including a certain movie called “God of Mischief”…. but again, that’s for another time. Take the example of Captain America: The First Avenger. That was a credible, enjoyable story with round characters and a clear message- even for me. I could get over the fact that Steve was using steroids (come on, he’s Steve), and I could even tune out for the four minutes of USO girls and annoying parade music. In fact, when Steve crashed that plane into the ice, my cold INTJ’s heart felt the tiniest twinge of grief. You know that shot near the end of the movie with the little boy holding Captain America’s shield? That would have been such a perfect way to end the story. And then they blew it with that last scene. Steve wakes up in a hospital in modern-day New York. He didn’t die after all- but the movie did. The message’s power rested in the fact that Steve died protecting the people he cared about. To turn around and say “Oh, but Steve didn’t actually die” is to take away that power. Sure, he gave his all for his country, but he turned out to be just another invincible superhero who did another superhero thing. His story no longer makes a difference in the real world. So perhaps Marvel’s escapist films earn a lot more money at the box office than slower, more thoughtful films like Les Miserables. As my dad says, Marvel offers “leave-your-brain-at-the-door humor,” and sometimes people just want to laugh and give their brains a break. But that doesn’t mean the storytelling is of higher quality. In fact, the underlying problems in the movies can be downright frustrating. By all means, go and watch a Marvel movie- preferably a PG-13 one. The acting is usually excellent, some of the jokes are downright funny, and I won’t deny that a few of the movies teach good lessons. However, when you watch these or any other movies, try to learn something. Think about what is going into your head! Otherwise, you become content with leaving your brain at the door, and none of us should do that. Very dangerous. What’s your take on Marvel movies? Whether you love them or hate them or couldn’t care less, I want to hear what you have learned from the Marvel Cinematic Universe. Last week, gretald tagged me for the Top 10 Villains post. With cheering and trumpets moderate excitement, I now accept. And, Greta, in the words of Bilbo Baggins, thag you very buch. I will probably end up breaking #4, but so did Greta, so I am not too concerned about that one. One more thing you should know is that I am terrible at making “top ten” lists like these, as my favorite kind of anything tends to change weekly. I will probably reread an old favorite book next week and smack myself for not putting that particular bad guy on this list… but here it goes anyway. In no particular order, here are my top ten villains of all time. If you see this guy on the street… run. Just run. Leave all historical debates aside on this one; Shakespeare’s portrayal of Richard is terrifying. Hunchbacked and hated, Richard believes that his only chance of fulfillment lies in the throne of England. A terrifying yet understandable villain drawn from English history? Duh, yes. Besides, I appreciate his dark sense of humor, which is much like my own. I’m chuckling evilly to myself as I type this. I. Love. This. Guy. 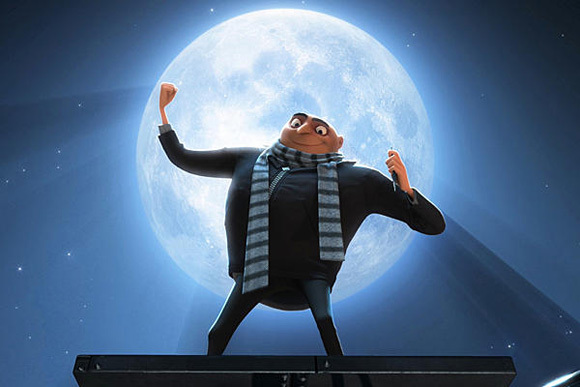 He’s been equipped with gadgets and weapons and cool cars, more dark humor, a bizarre accent, many layers of complexity, and backstory which never fails to elicit an “aww, poor Gru.” Plus, he is one of those few sympathetic INTJs like me. So he doesn’t exactly play the role of Bad Guy in the story, but this a list of “villains,” not “antagonists.” He deserves a place with the best of the best. What can I say? Gollum is simply adorable, and half the time he’s nothing worse than a Stinker. All he ever wanted was his Precious. I think we can all see a little bit of ourselves in Gollum sometimes: we all want to do good, but we have to fight with our darker side to do it. Hey- there is a movie? You cannot possibly understand the depths of my hatred for de Bois-Guilbert. The overweening Templar tries to seduce and then abuses the Jewish girl Rebecca while she is a prisoner in his buddy’s castle, only desisting when the house is burned to the ground. And even then he drags her off into the forest so that Ivanhoe can’t get at her. What sort of horrible person does that? It seems he has an affinity for glowing blue things. 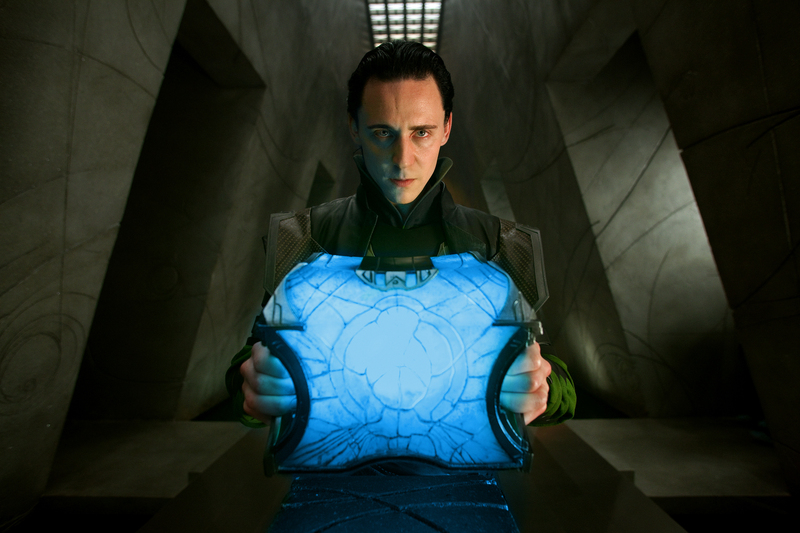 As overrated as the film itself may be, Loki is a believable, even sympathetic baddie. He starts out as a friendly little brother, and then his world is shattered by the news that he will never be a king, only “the monster that parents tell their children about at night.” You might say he was just a victim of bad parenting- even if the horns and super glowstick are a bit much. I recently discovered Christopher Nolan’s film. Let us just say that I now have another favorite movie. 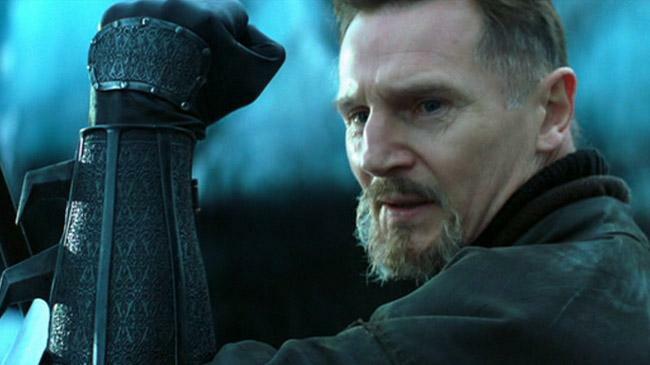 Ninja swords, tragic backstory, and Liam Neeson. ‘Nuff said. FYI, finding a picture of this guy isn’t the easiest task in the world. Ugh, just thinking about wicked Simon Legree makes me shudder. I hate him for all the reasons I hated de Bois-Guilbert, except that no chivalrous knights stopped him from destroying the lives of two young girls and killing his other slaves. No wonder Stowe’s novel had such an impact in the 1800s; Legree is one character that you can never forget. She had a snazzy sense of fashion, too. 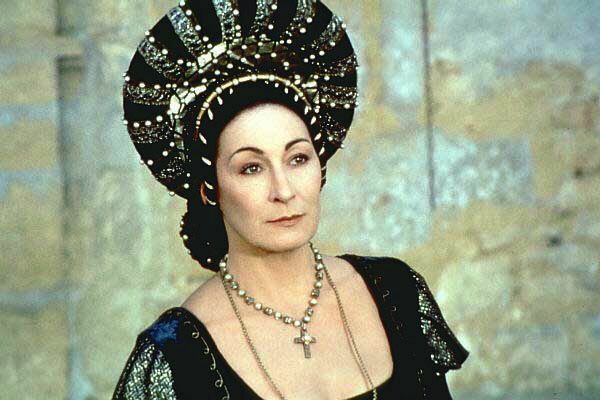 I hated the stepmother from the original Cinderella because she was so irrationally evil, but I loathe the Baroness even more because she has reasons for being so terrible. Her husband died and left her with a headstrong daughter who threatens the wellbeing of her own children. Who wouldn’t turn a little bit nasty about that? And she is indeed nasty. Sometimes it almost seems as if she wants to love Danielle as a daughter, but she suppresses that tenderness and instead punishes the girl as a wicked servant. Scar is not impressed. He is never impressed. As terrible as it sounds, I identify a little bit with Scar- that is, his cynical humor, meticulous mind, and unforgettable lines. He is never at a loss for words and always has a plan. And of course he is evil; Scar has no qualms about wreaking havoc on the whole kingdom so that he can take over it. 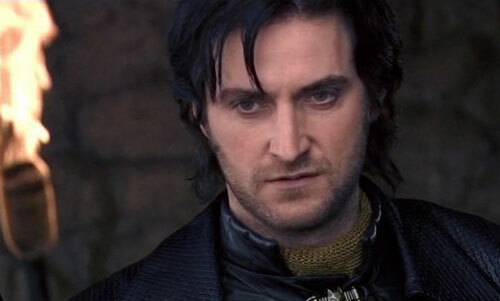 Just like Richard III, and Loki, and Morgoth, and Gru… maybe I do have a favorite kind of villain after all. Now for the tags. I don’t know many other bloggers who do villain posts, but, like Hans, I will do what I can.